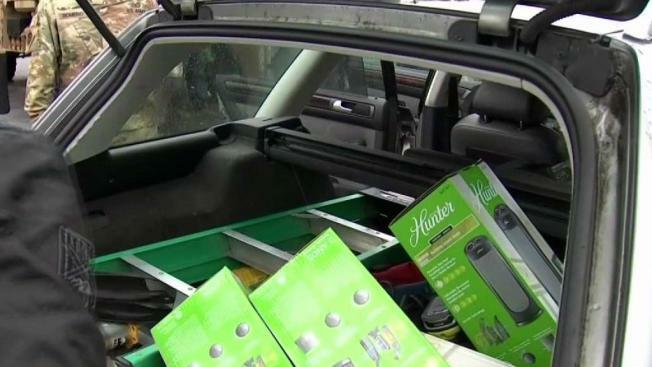 Officials started distributing space heaters and hotplates to thousands of residents in the Merrimack Valley after a series of explosions and fires left them without natural gas, but not every home has them yet despite the falling temperatures. The utility behind the natural gas explosions in Massachusetts in September is planning to provide 20,000 hot Thanksgiving dinners to customers and their families and friends to show appreciation for their continued patience throughout the recovery effort. "This meal is a small token of our gratitude to them," Joe Hamrock, President and CEO of NiSource, the parent company of Columbia Gas, said. "I'll be celebrating the holiday here in the Merrimack Valley, and I'm going to ensure we do everything we can to help this community have a happy and healthy start to the holiday season." Pablo Vegas, who is the chief restoration officer for Columbia Gas, echoed Hamrock. "By providing Thanksgiving meals we hope we can relieve a little bit more of the burden during this holiday season," Vegas said. Lawrence Mayor Dan Rivera says meals provided by Columbia Gas will be served at the temporary trailer parks where some residents are being housed as well as at a hall in Lawrence. There will also be several takeout locations. Republican Gov. Charlie Baker says more than 2,000 families, or about 7,500 people, are currently in temporary housing. The disaster killed one person and injured dozens of others in Lawrence, Andover and North Andover, and destroyed or damaged more than 100 homes. Thousands of homes and businesses lost gas service. Columbia says it hopes to have gas fully restored by mid-December. Customers who would like to receive meals will need to reserve them, either for pick-up or at a sit-down meal, at ColumbiaGasMA.com/Thanksgiving or by calling 877-399-0506. Reservations can be made until Nov. 16. Sit-down meals in a community style setting will be offered at Lawrence Elks Lodge, South Common Park (heated tent), Pemberton Park (heated tent) and Andover Senior Center. For those who would like to pick up their meal, they can reserve a scheduled pick up time. The pick up locations will be Andover Town Hall, First and Main Marketplace in North Andover and Elks Lodge in Lawrence.